Women have known for some time that society places a high value on looking fit and youthful. Now, as the marketplace grows more competitive, men want to stand out in the job market (and everyday life) by looking and feeling their best too. That’s why more and more men each year are turning to cosmetic surgery to rejuvenate, balance and improve their faces. From eyelid surgery (blepharoplasty) to nose jobs, to removing excess neck and jowl tissue to chin implants, if you want a more youthful, fit look, Dr. Hayes is the plastic surgeon to see. Double board certified with decades of experience, Dr. Hayes is an expert in helping men attain the rugged good looks that are so popular. Cosmetic procedures for men are very similar to those for women, reversing the signs of aging and improving problem areas, except that Dr. Hayes takes into consideration certain factors such as facial hair, skin thickness and the like. And, whereas women tend to want rounder faces, men usually go for more rugged, angular looks we associate with male virility and strength. Dr. Hayes also understands that you lead a busy life. That’s why he works to tailor surgical procedures to your needs, while streamlining the process whenever possible. Depending on the type of procedure you need done, you may be able to return to work with minimal downtime. Dr. Hayes will explain any restrictions, such as sports activities that might bump or injure your face that you will need to be mindful of. Men, like their female counterparts, can often benefit from rhinoplasty (also called a nose job). Rhinoplasty is the most common elective procedure for men. Many men desire a more balanced facial look and or an improved profile. This can often be achieved by correcting an off-centered or broken nose. Others may be looking to redefine their nose, getting rid of a bulbous tip, changing a nose that appears to droop, is overly large, too wide or narrow, has a ski-slope appearance, or one that just fits more with the rest of their face. Society often associates a strong chin with manliness and determination. A strong chin not only improves your profile, but balances out your entire face. Chin augmentation (chin implants) come in a wide variety of styles and forms, providing natural looking chin enhancement for men who dislike their weak chin. Dr. Hayes, a skilled and knowledgeable, double board certified plastic surgeon and facial expert, understands the ways that even subtle changes can provide dramatic improvements. Chin implants are very small and the change, though discreet, is noticeable. Your friends may not know what exactly is different about you, commenting that you look more rested and confident, but people will certainly notice. Dr. Hayes will take the time to evaluate your face, make recommendations about what is right for you. Always happy to explain procedures and techniques, he will answer any questions you might have and guide you through the process to give you the masculine, firm looking chin you have always wanted. Neck liposuction is an excellent way to contour and shape your neck, while enhancing your profile. Excess neck skin can make you appear heavier, more tired and less vibrant. Men with good skin elasticity are often good candidates for neck liposuction because removing the underlying fat allows the neck to become tighter and firmer, much like it was when you were younger. Neck liposuction is very focused, targeting only the problem areas of your neck, and requiring only a small incision. Kybella® is an advanced, FDA approved injectable treatment that permanently removes submental (chin) fat. Using a synthetic version of a naturally occurring molecule, Kybella® slowly breaks down the fatty areas under your chin over a period of weeks. (The exact number of injections required will vary, based on your individual needs.) This process creates a gradual, but lasting change that improves the contours and profile of your face. Many patients find that people notice the change, thinking that the patient has lost weight. Kybella® is administered in the office by Dr. Hayes. Once injected, you will be able to resume your normal activities immediately, however some patients do experience mild swelling. We advise our patients to schedule light days in case there is temporary, but noticeable, bruising, discomfort, hardness and or redness. Like women, many men are concerned about the wrinkles, creases and crows-feet lining their faces. 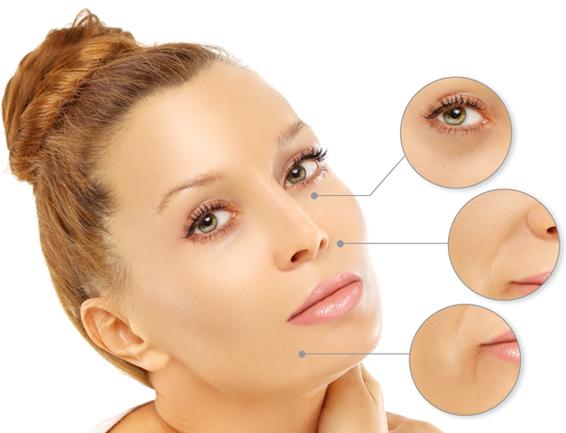 BOTOX®, provides a non-surgical solution to smoothing and restoring the more youthful appearance of your skin. The procedure is usually performed in the office, with no anesthesia required. Most patients go right back to work after an injection. 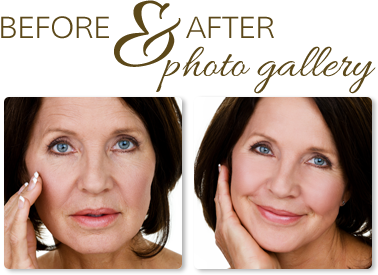 Dr. Hayes personally administers all BOTOX® treatments. During your consultation, he will answer all of your questions and explain each step of the procedure. He has more experience with BOTOX® than any other provider in the local area. Many men are using facial fillers such as Restylane, Sculptra and Radiesse to achieve a more youthful look without feminizing their facial features. Typical areas for men to use fillers are the cheek, temples, jawline and nasal labial folds.